Mrs. Bryson's first grade class at West Side School celebrated Dr. Seuss' birthday today as part of the Read Across America Celebration. We spent the day READING and enjoyed a Cat-in-the-Hat birthday cake in the afternoon! The more that you read the more you will know, the more things that you learn the more places you will go! 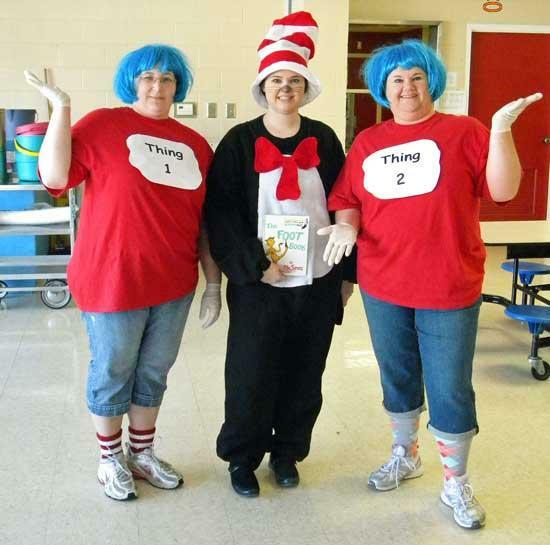 Dr. Seuss — Happy 107th Birthday Theodor Suess Geisel! West Side teachers are the best!